Wansfell View is a detached, single-storey cottage set on Limefitt Holiday Park, near the village of Troutbeck in the Lake District National Park. 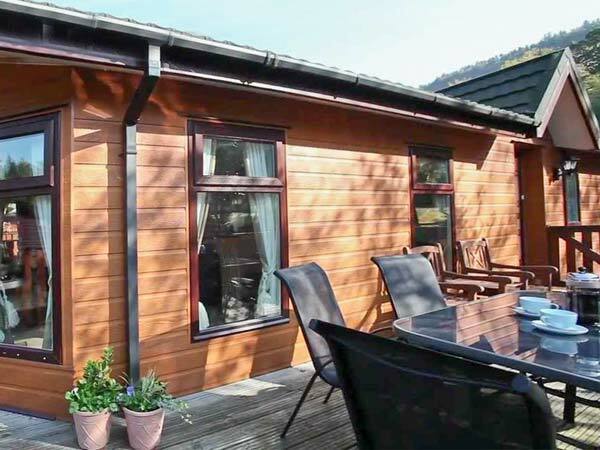 This cottage sleeps six people in three bedrooms, consisting of one king-size double with en-suite shower room, a double and a twin, as well as a bathroom. The cottage also has an open plan living area with kitchen, dining area and sitting area with electric fire. Outside there is off road parking for two cars and an enclosed decked area with furniture and barbecue. Wansfell View is an ideal base for visiting many areas of the Lake District, at any time of year. All ground floor. Three bedrooms: 1 x king-size double with TV, dressing room and en-suite shower, basin and WC, 1 x double with TV, 1 x twin. Bathroom with bath, shower over, basin and WC. Open plan living area with kitchen, dining area and sitting area with electric fire. Gas central heating with electric fire. Electric oven, gas hob, microwave, fridge, freezer, dishwasher, 1 x Smart TV with Netflix and Amazon Prime (own account required) plus 2 x TVs with Freeview, DVD, CD, WiFi, selection of books, games and DVDs. Fuel and power inc. in rent. Bed linen and towels inc. in rent. Cot and highchair. Off road parking for 2 cars. 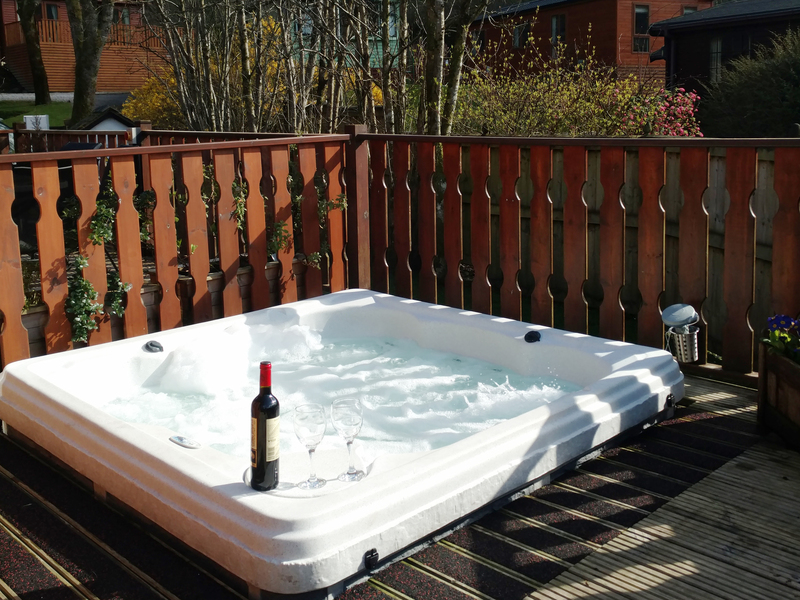 Enclosed, front decked area with hot tub, furniture and BBQ. Shared use of on-site outdoor games area and children's play area, laundry facilities and pony trekking at additional charge. Two well-behaved pets welcome. Sorry, no smoking. On-site shop and pub 5 mins walk. Note: Property accessed via four external steps.